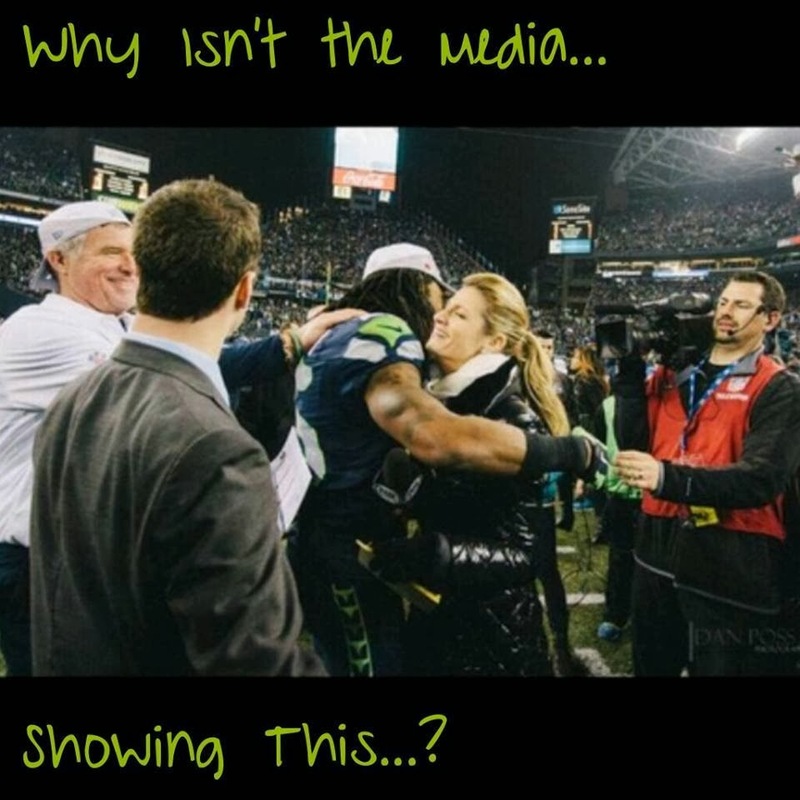 Dancing in the Rain: Are the Seahawks the Red-Headed Step-Children of the NFL? Are the Seahawks the Red-Headed Step-Children of the NFL? The Super Bowl is this weekend!! Two football teams, the best commercials advertising execs can come up with, food, drink, friends and Bruno Mars. Apparently it's cold in New Jersey. Everyone keeps harping on it. Bruno Mars said yesterday during a press conference ("I've never had to do a press conference before a performance.") that his mic felt like a popsicle during rehearsals. Well, at least both of the teams competing this year are used to cold weather. It was meant to be! I mean, it would be pretty sad if the two teams were the San Diego Chargers and the Miami Dolphins, right? 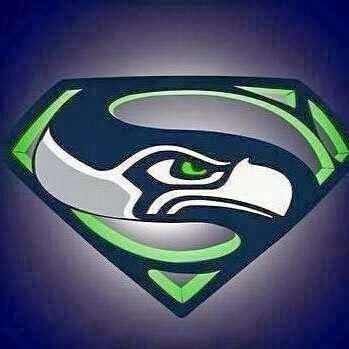 If you know me at all you know I live in Washington state, and therefor I am a Seahawks fan. Perhaps I shouldn't say "therefor" because when I lived in the Bay Area I was not a Raiders or 49ers fan. Nope. But see, Washington is my home state. I was born here, and although I did live in California for many years, I have now lived here longer than there. But besides all that, I believe the Seattle Seahawks are a very special football team with the most awesome fans. 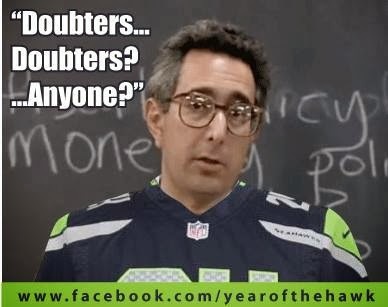 There is this palpable feeling around these parts that the Seahawks are never going to be taken seriously. My husband says it's as if they're the red-headed step-children of the NFL. It's true that the Hawks were not contenders for many years. They were just this cute little football team way up in the Pacific Northwest (where is Seattle again?) trying to make a go of it. As far as I can recall, pretty much any team who played them during my childhood came away with a win. But all of that changed eight years ago. In 2006, just two weeks after my son was born, the Seattle Seahawks played the Pittsburgh Steelers in the Super Bowl. I'm just gonna say it. The Hawks were ROBBED! Don't you say no they weren't! I watched that game and every single unfair call made by the refs during it. The Steelers whined their way to the win. Eight years and a ton of work later there doesn't seem to be a whole lot more respect for this team than there ever has been. Sure, they say Wilson is great, Lynch is the "Beast" and Haushka is an excellent kicker. But Sherman is vilified for his little rant about Crabtree (5 seconds after making the play that won them the game) and we fans, the raucous and passionate 12th Man, are just seen as annoying. Not to mention the fashion faux pas one female commentator made wearing a red coat as she reported outside Century Link Field before the NFC Championship game against the 49ers. I mean, really? Yeah, she got a lot of flack for that. This year, I just know that because the Broncos have a few Super Bowl trophies, the Seahawks will be seen as the underdogs. That's OK, though, I think they like it like that. I think it pushes them harder. But let me tell you: The Seattle Seahawks and the 12th Man are a force to be reckoned with. I know those guys are going to play their hearts out this Sunday. They want it, and they want it bad. Images found on the Seattle Seahawks Memes Facebook page.